There are probably hundreds of guys who are Elvis Impersonators, singing his favorite love songs, but I would like to share a few with you. “Love me” and “Blue suede shoes.” I think this guy is very funny. Johnny Cash said that Andy was Elvis’ favorite impersonator. When I was typing it, I made an error and typed Dollingwood! Maybe Dolly Parton will come next! This is Ben singing “I can’t stop loving you” – one of my own personal favorite love songs. One of the ultimate Elvis Impersonator winners. CC Rider. 6. Wayne Fontaine – When my blue moon turns to gold again. He plays the guitar real good! The make up is incredible. All of these artists are so incredible, and do such wonderful imitations of the king. It is very interesting to hear Donny’s story of how people persuaded him to get into it. He looks a lot like Elvis. This is a good song – the words are so true. So many people love to criticize, when they don’t know what it’s like to be in your shoes. 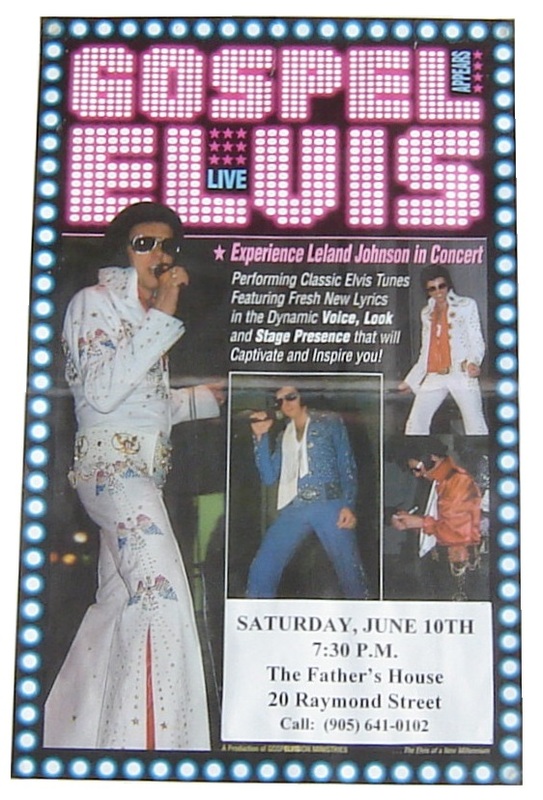 So many Elvis Impersonators. Looks like the women love it! Receives the “Heart of the king” award, then goes into action. Wow, Dean does all the moves of the king in just a couple of songs. He is very good at his imitation. I wonder how his girlfriend feels about him kissing all the girls. Wow, it is so nice to see her. She is the real deal. The ex-wife. Up close and personal. Knows all about him. I read her book some years back. She is a year older than me – I just looked it up. I think this might be part of a movie. It is sad to see he died so young. 17. A Canadian woman looking for her father – he turns out to be an Elvis impersonator in Thailand. I saw this on the news the other week, and I thought it was very interesting. I saw Elvis and a UFO, but not at the same time! This guy is so funny. I have had his poster on my bedroom wall for the last 20 years!